After an unforeseeable leave of absence from both my blog and social media accounts, my health has finally got its act together (don’t worry, nothing serious, I just temporarily lost a battle with bacterial sinusitis – yes it’s as gross as it sounds. I then got mauled by mosquitos and my feet turned into watermelons, normal-ish feet have since returned). 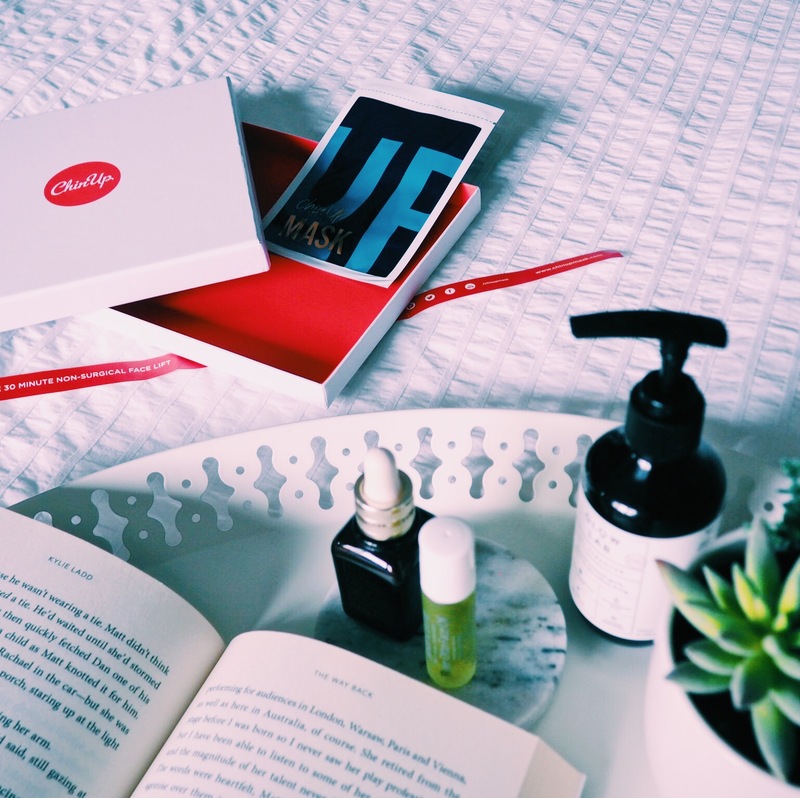 February and March have seen the introduction of a few new and exciting products into my beauty routine. Did you know there was a neck mask on the market that claims to be a “non-surgical facelift”? Well I’ve put that claim to the test for you. Ive also lost my self-tan virginity and doubled up on my eye-care products and happened upon a dry shampoo that IMO is worthy of holy grail status. Unintentionally, these past few weeks have become about products that lift, tighten and tone. I think I needed it. 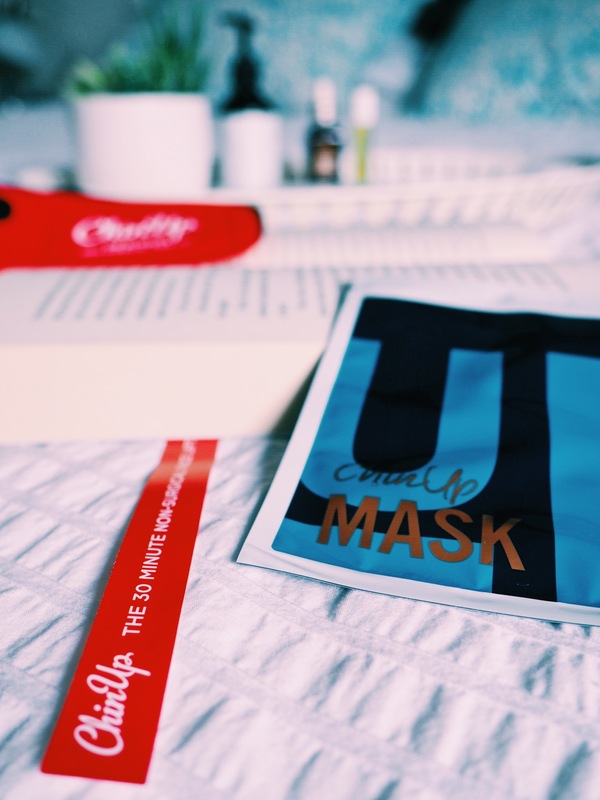 When the guys over at Chin Up Mask invited me to try this mask I didn’t have to think twice. Anyone who knows me well will know that I struggle to love my chin. The reality is that I am not well endowed in that department, my mandible is modest to say the least. That means I’m prone to develop “check” where at certain angles my chin and neck are indistinguishable from one another, kinda like “cankles” but right at the bottom of my face. I’ve long considered surgical intervention. I still won’t rule that out, though I’m trying to accept myself, flaws and all. That said, if theres a completely safe and affordable option out there, I’m going to grab that with both hands. The kit I was sent included 2x masks, a band to secure the mask in place and a measuring tape. its recommended you take pre and post measurements. 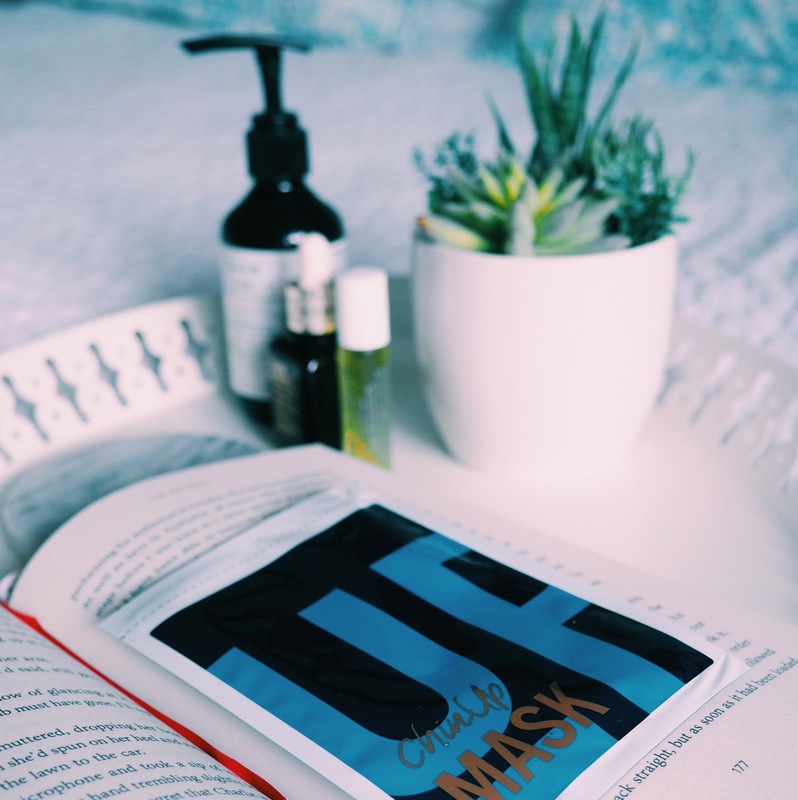 Masks can stay on for up to 45 minutes. Regular use (weekly) is required to maintain results. Though a one off treatment for a special occasion can still be effective. I used one mask and then 3 days later used the other. The first time I used the mask for 30 minutes and the second 45. Honestly, I found the band that secured the mask a little uncomfortable (check my Instagram stories- to see my impression of a hamster storing dinner for later whilst wearing it) the tingling sensation was unusual, but hey, I’m prepared to spend 30 minutes a week on the wrong side of comfortable if its going to give me the jawline of Kendall Jenner. The results? After the first use my measurement reduced by 0.75cm. At the time I used the mask the second time my measurement had increased but was still 0.5cm less than my original measurement. After the second mask I saw a reduction of 1cm, giving me a total reduction of 1.5cm. Not too shabby. My neck felt a little tighter and whilst I won’t be Keeping Up with Kendall anytime soon, my jawline was slightly more pronounced. Would I use this product weekly? No. Would I use this product prior to a special event? Absolutely. Can a mask really lift and tighten your jawline in only 30 minutes? This product was gifted for testing purposes. The trial pack I was sent retails at £34.95. I purchased both the Eye Concentrate and the Bouncy Eye Mask. The two are recommended as working well together. I’ve found the Mask to be far superior, if these products are a power duo then the concentrate is certainly the Robin to the Masks Batman in this equation (Wife points to me for the DC name drop). The concentrate is pleasant and refreshing, whilst the mask does this and more. The only issue is that its far to heavy for daytime use (this may be why the concentrate is handy). A dab of this potion (I can’t describe it as a gel, nor a cream – its like a hybrid of the two) at bedtime and I’ve seen a noticeable improvement to my eye area. Firm and bouncy without puffiness. Nervous does not begin to describe my emotional state as the time ticked by following my FIRST EVER APPLICATION OF SELF TAN. I followed all the advice (I shaved the day before, exfoliated fully and used the tanning mitt to apply the foam as directed). It was easy. Me being me, I worried that it was too simple. All needlessly because it was perfection. A subtle golden glow that lasted 4-5 days. I am now a self-tan convert. So much so that I even leave it on over night instead of the directed 6 hours (I know, I’m a rebel). The only issue is that despite proclaiming to have a “coconut scent”, I still smell of biscuits (though it’s really a non-issue for me because I freakin’ love me a biscuit). One use and I was in love. The volume and bounce it gave my hair, had me walking around all day and catching my reflection like “new me, who dis?” This product easily gives me an extra 2 days per shampoo, freeing up some extra time. Time that is much needed now that our twins have reached, what I believe gets referred to as terrible twos (I can’t wait until they become threenagers). There you have it my February & March beauty review. What products are you loving this month?